By Anthony Geppa, originally published 24 October 2017 in Centralian Advocate Vol. 71 No. 44. Picture credit Emma Murray. HE may only be 17 years old but Yuji Nojima’s soccer career has already taken him to all parts of the globe. The young attacking midfielder has just returned to Alice Springs from Japan, competing in a Coerver international tournament. The Scorpions A Grade player was outstanding against players from across the globe, scoring five goals in as many games including a hat-trick in his opening game. Coerver Coaching ACT recently hosted Mark Patterson (Director) and Jess Patterson (Coach) of Coerver Coaching North Shore in New Zealand and Jordan Laing (Coach) of Coerver Coaching Singapore. Coerver Coaching ACT has been successfully delivering the world's number 1 soccer skills teaching method and developing creative confident players in the ACT since 2001. Mark, Jess and Jordan visited Coerver Coaching ACT as part of their professional development as Coerver Coaches, with Mark also looking to further develop the Coerver Coaching North Shore business. Mark, Jess and Jordan spent time observing the Coerver Coaching ACT programs including the Performance Academy, Schools Clinic, 1on1 Program and Futsal First Skills Clinic. Coerver Coaching was reintroduced to Sydney with a bang this September School Holidays, with the first Coerver Coaching Sydney North Shore Holiday Camp. Over 60 players attended Coerver Coaching Sydney North Shore's inaugural Holiday Camp at Norman Griffiths Oval from 25 - 28 September. The players were treated to 4 fantastic days of technical soccer skills development in a fun and safe environment, delivered by official qualified Coerver Coaches. 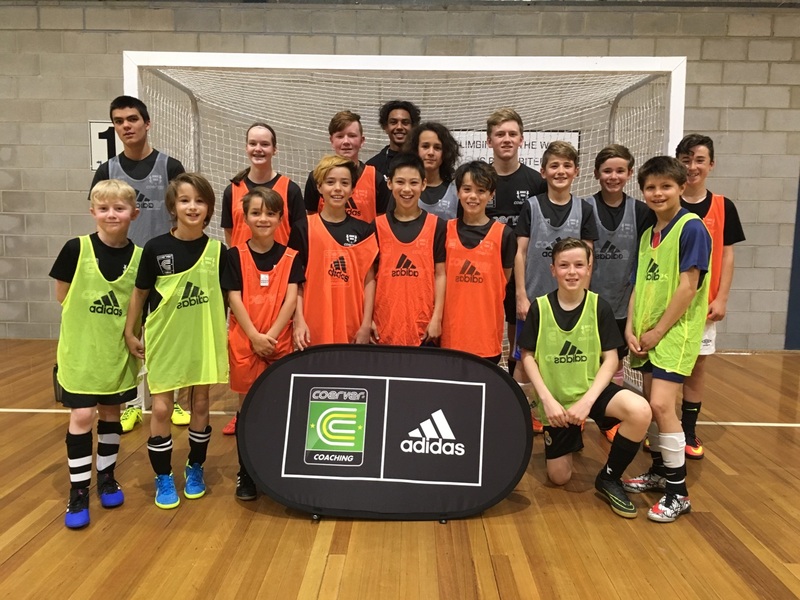 Coerver Coaching Sydney North Shore Director Cam Jones was happy to see the success of the first holiday camp, which he believes is a positive sign for future Coerver Coaching programs in the Sydney North Shore area. Coerver Coaching ACT conducted our inaugural Coerver Coaching Futsal School Holiday Clinic this week at the ACT Netball Centre. The clinic was conducted over four days and was based on the globally recognised Futsal Pyramid of Player development. This clinic utilized the Coerver® Method of ball mastery and graduated pressure to build technical competence and played carefully selected games to build functional success. It was great to see the improvement of all the players during the week. Throughout the clinic the Coerver Coaching Staff selected a player from each squad as the overall players of the Futsal School Holiday Clinic.